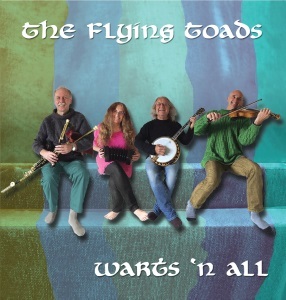 The Flying Toads are a multi-instrumental band playing inventive arrangements of Celtic music. Their extensive repertoire ranges from lively jigs and reels to high-energy songs and haunting ballads. With their range of instruments they can provide the music for a wide range of occasions. The Flying Toads are available for festivals, ceilidhs/barn dances, pubs/clubs, concerts, weddings, parties, etc - in fact any occasion where good Celtic music is required. Buy our new CD 'Warts 'n All' for just £10.50 UK (inc post and packing).